Spacious rooftop bar in Dalston. You can’t get high quickly enough in Dalston; sadly there’s no express lift to the area’s prime roof space. 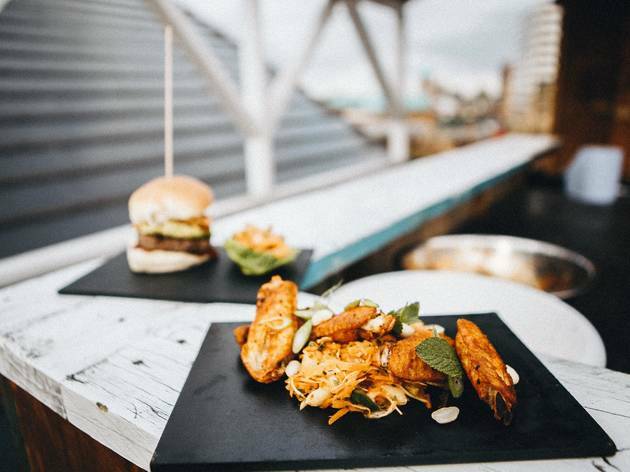 But the few flights up to Dalston Roof Park (a bar from Bootstrap Company that reboots its look every year) set the creative scene with wicked graffiti on the walls. The £3 entry fee is worth it for the lurid AstroTurf, real-life flora in hanging baskets and makeshift planters, and bunting flapping in the breeze. Or in the storm, on our visit – there’s no guaranteeing that the Great British summer will actually make an appearance. 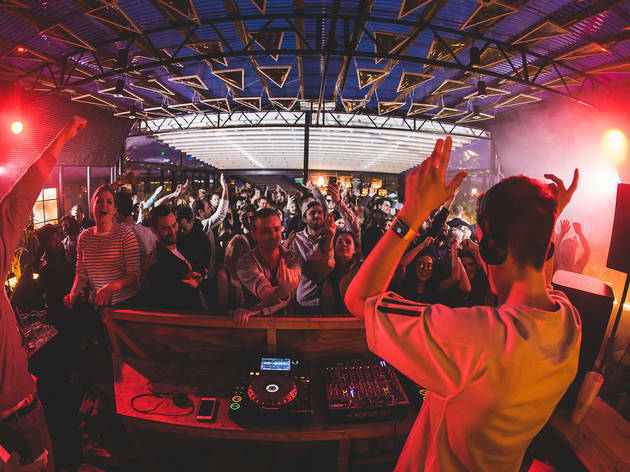 With that in mind, the venue offers the shelter of a covered bar and a roofed area in front of the decks, so you can dance whatever the weather. Colour comes from bright beanbags (hang on, we thought we’d left those in the ’80s), allowing relaxed drinkers to carpet the floor as heavily as that AstroTurf. If that heatwave ever hits, there’s ample uncovered sunshine spots and plenty of deck chairs to lounge with a cocktail – mojitos and caipirinhas do a grand trade, but I tested out the Dalston Sunset, a cheerful blend of cranberry, lychee liqueur and gin that practically screams ‘summer’. 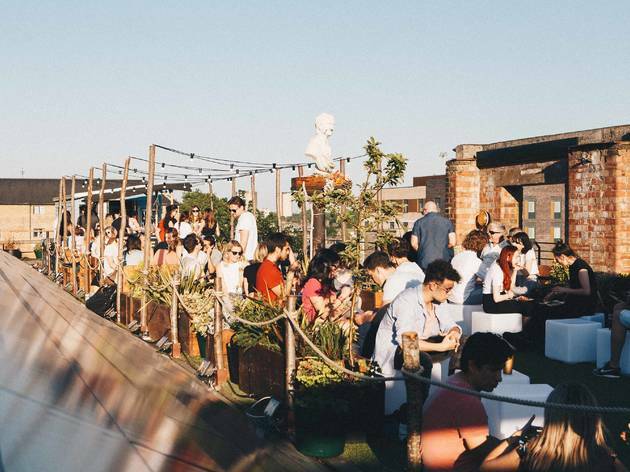 Throughout the season, pop-up food traders will be setting up shop for monthly residencies (Le Bao are currently cooking up a storm on the roof), sunrise yoga sessions will crop up on the regs and those DJs keep coming, so get on up. If the beanbag is in for a revival, perhaps summer will be making a comeback too. Open 5-11pm, Tue-Fri; 3-11pm Sat; 3-10pm Sun; closed Mon. 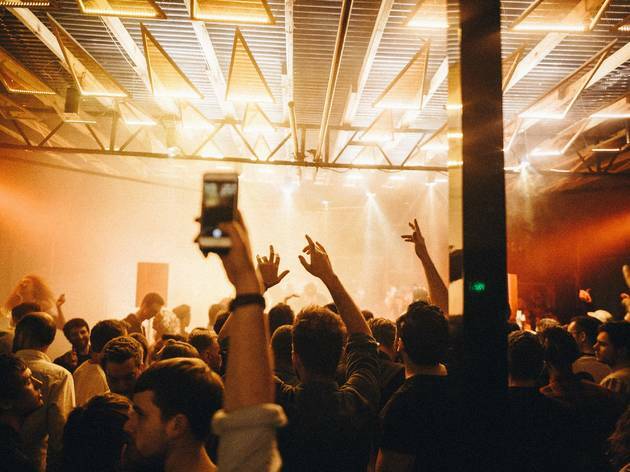 Community spirited venue with awesome views in the heart of Dalston. Using their popularity for good causes. Thumbs up! A nice little rooftop in the heart of Dalston, I went there on a Tuesday evening for afterwork drinks and it was surprisingly quite empty despite the great weather but I may just have been lucky. Great views, great beers and great vibe, worth the trip. It's an uniques space with great views, a diverse events programme; All the beer on tap was brewed in 40ft brewery based in a shipping container in the car park, and all the money goes to a good cause (Bootstrap Charity) so you can feel good whilst you drink it. An amazing venue that also gives young people, community groups, charities and social enterprises the opportunity to run events / fundraisers / launches / workshops. A really special place! 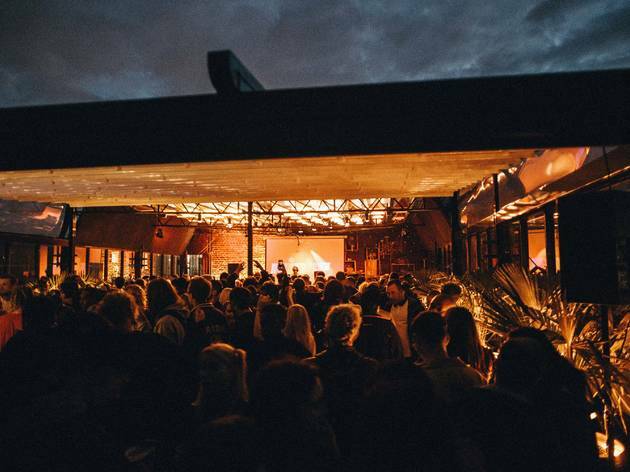 A vibrant community space, and Dalston's only rooftop! Been to a number of awesome events here and all the money they make goes to the Bootstrap Charity too. Closest to a guilt free pint you'll get in London! A Great space to party, socialise or watch a film in the heart of Dalston with fantastic food also. Great place to be on a sunny day, Chilled vibes and good music. 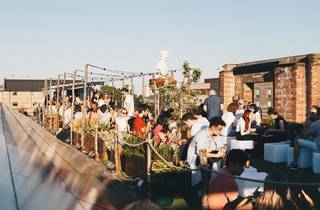 The only rooftop in London that still retains a community feel and isn't full of suits! This small no-frills space is so much more fun than the swankier, wankier rooftop bars. Great music, great cocktails, great dirty urban nighttime views. Best to arrive early and not to have any issues with your personal space being invaded. I love this rooftop bar, really nicely kept and they seem to manage the number of people going in well. Theres always a good selection of cocktails and interesting events scheduled throughout summer. My top tips would be sign up online (you'll need to be a member to enter), leave work early and get your whole crew down- it is often one in one out quite early and its a pain if only half of you make it up! This place is great from April to mid October. There are many events and gigs throughout the weekends in the sun. Amazing DJs that play into early hours. Film screenings and many many other events. £5 membership charge is definitely worth it. Just make sure to arrive early, before 5pm on weekdays and 2pm weekends. Great views, but you have to pay £5 entry (for "membership" - I paid this the year before but told that I was no longer a member and needed to pay again) and its generally very very busy and quite a small space. Visit on a weekday evening if you want to enjoy this. This is by far one of my favourite rooftops in the city. 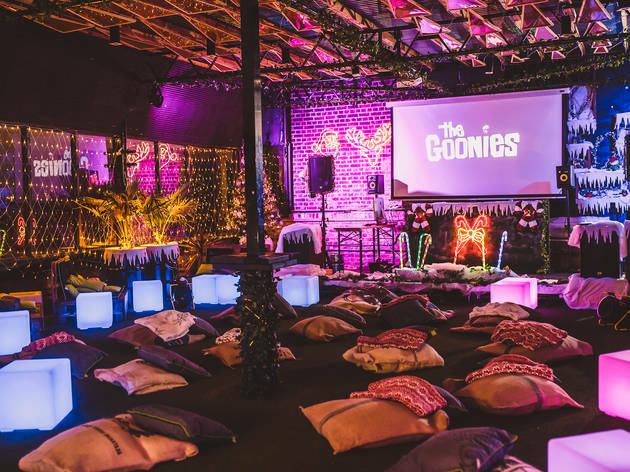 Very cosy and quirky with lots of fun events, it is a great place to enjoy a drink or two (or ten! - it is very difficult to leave the rooftop once you've finally managed to get on it) when the sun is out. The only negative thing about it is its popularity. Arrive early to avoid queuing for over an hour! I went myself yesterday and we were asked by a young hipster on the door to pay £5 to get some membership, which he did not say what allow you to, if we wanted to join the roof. Just another way to make an "all hipster" space in Dalston. Go to the park instead! This is awesome! I am preparing a trip for London fans and want to show things items "they do not know" and I will certainly go and pay a visit to the roof park! Thanks!!! . My work colleagues and I use the roof at lunch time and it is a very pleasant place during the summer, always interesting people there. It will be interesting to see how it works during the evening with drinks and music, I will definitely go! !